The easiest way to fix the sound from being faint is to move the speaker closer to the resistors. 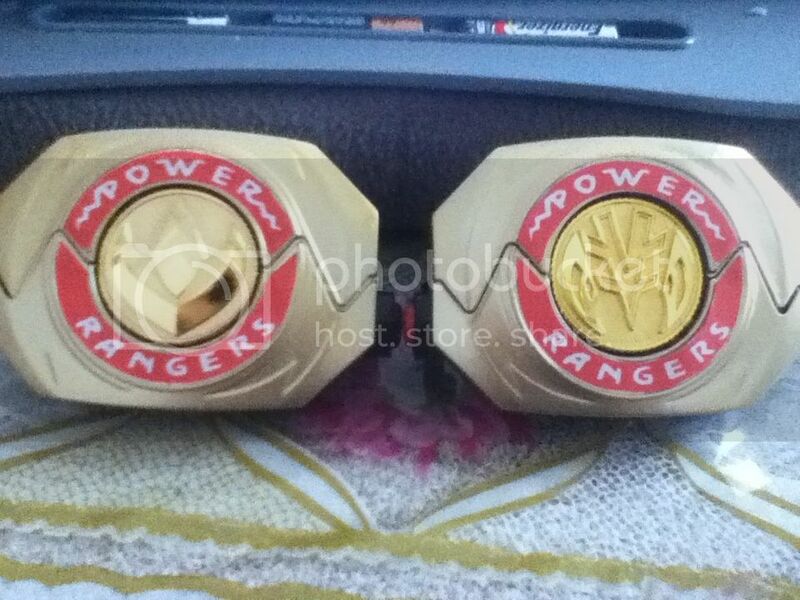 But that speaker hopefully is in the tolerance range for the morpher. If it works then awesome, pm if you have any issues ok. I am currently working on replacing the resistors and an ic chip on my latest morpher. awesome, i'll update you on the progress. Update: So i soldered in the new piezo speaker. looks exactly the same, problem is it sounds exactly the same for some reason. faint. what could be causing this? could it be some of the solder points are overlapping eachother with solder? or is it another part that causing it to sound faint? Should i solder the contact points closer together on the piezo? i have a rather randome question is there a way to convert one of the morpher playsets so that it looks like the closed morpher ? I finally mustered up the courage to do something with my Power Morphers! Two of them were pretty nicked up, with a lot of it being from the actual factory: flashing, bits of sprue, distorted plastic from being pulled from the mold too quickly, and even paint runs. The third was a mess from the get-go, the result of someone's attempt to customize it without a clue of what to do. I decided to go gold with two of them, with the third being prepared for some massive reworking. Plates were removed, prepped, cleaned and air dried. 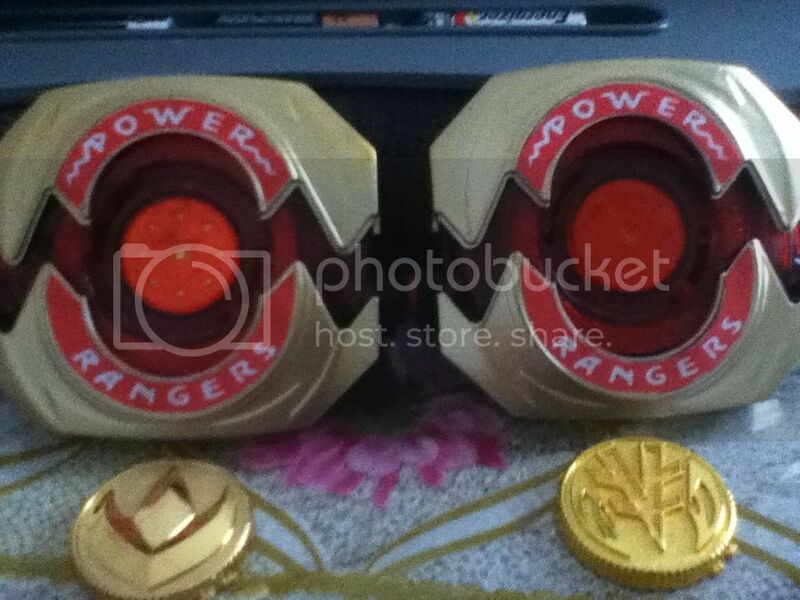 The set on the right is from the messed up Morpher. These Morphers must have been from the tail end of production, because a lot of the corners were very soft and looked almost worn down, even where there was still factory paint. I sharpened them up while removing the excess plastic on the sides. And here's the result of... hm. A dozen thin coats. Okay then. I opted for a richer gold than most use, as I don't like how easily the coloring can be washed out from lighting. As you can see, these can look quite different depending on the angle and nature of your lighting. These stickers aren't attached (neither are the plates, actually) as I'll be springing for proper labels soon enough. I still need the coins, obviously, but here's where I am. So, am I in the cool kids club now? Last edited by RoboTrap; September 9th, 2012 at 07:31 PM. I like the paint. What is it? It's just Ace-branded "Antique Gold". I liked it the best when I did some paint tests a few days ago, which I'm glad I did, because the paint I was eyeing beforehand looked kinda "minty" under florescent lighting. Remember, kids: Test your paints! I was also planning on masking the bolts on one of them after priming so that I wouldn't have to use stickers, but I couldn't guarantee a perfect line, so I nixed that too. On replacing the piezo speaker on my good morpher the sound was actually better. Less tinny than it was on the older piezo. And the sound is a bit louder as well. I'm still trying to figure out the other morpher, seems as though that a resistor needs to be replaced, according to chihuahua. But I'm not sure yet. I don't have the necessary components to test that. This thread has inspired me to dig out my old Morpher! But I don't think I can go through with making it custom! I couldnt stand messing up! Maybe I'll keep mine the way it is-peeling labels and all- and buy another morpher from eBay to mod! Just painted my second morpher. So I've got 3 now =). I'll look for another, to make silver. I need labels now! And a decent power coin. That's a beautiful job you did on those morpher's. is that a functional holster too? Thanks! It's a reproduction holster from powerprops, I received it in bad shape though. The clips don't really work very well. I'm planning to stick a strong magnet in the morpher and onto the holster somewhere. But the holster does have belt clips. Yeah i bought labels from BD15 last week. Gotta wait for a paycheck haha. I have 2 starlight studio coins. Might need to order another. But paycheck, again haha. Hi reliantj! Great job on those morphers they look pretty bad @$$. I have good news for you I've got in contact with Jess(Powerprops) and she answered me minutes ago, she is willing to send you replacement clips for your holster, she just needs your shipping address. PM me with it so I can sent it to her. Thanks so much darthgoofy! I owe you! Any time my friend! PM coming your way. Last edited by Darth Goofy; September 14th, 2012 at 09:17 PM. This is a weird issue - I tried doing a search for it, but didn't know how to phrase it (I tried searching for "connection", but didn't see the issue listed). When playing around with one of my older morphers, the sound became faint/intermittent and only 1 led lit up. No corrosion on this morpher and new batteries didn't fix the issue... however when I "jiggled" the plates (or shook the entire morpher) while pressing the red button, the sound came back full blast with alternating leds. I tried to tighten the red plate (as per DanielFyre's repair tutorial), but this seemed to make the issue worse, in that shaking the plates didn't fix the problem. So I loosened the red plate again, allowing the jiggling technique to work. Any ideas? All the connections seem to work when I unscrewed the back... outside of resoldering the wires, does anyone know of any fixes for whatever is under the red plate? I found that when the speaker was loose, it would touch certain other parts underneath it. When that happened, something similar to your issue occurred as well. Take the plates off, take the red plate off and take a look around.